I attribute a large degree of what I’m doing now to my parents. If it wasn’t for them letting me have more than my fair share of “screen time,” I would not have had as much time for Google searches. For learning about technology. For finding my passion. There are countless things that I’ve been able to discover in my childhood, that, if I didn’t have that freedom, I would not have discovered. While thinking about this, I began thinking about how we are teaching the current generation how to use technology — properly. 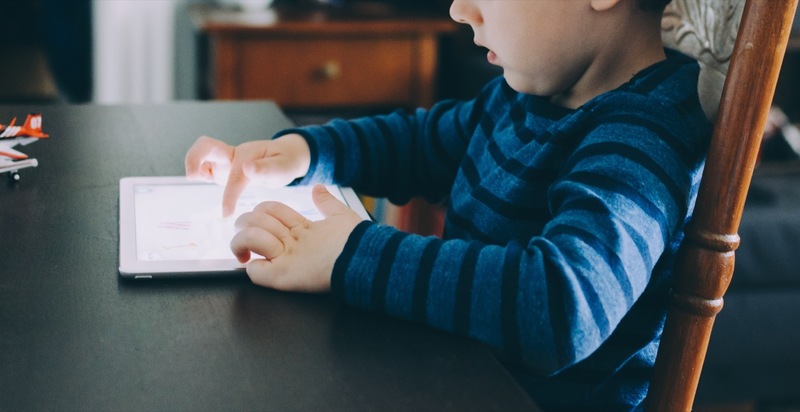 We can no longer introduce phones, tablets, and computers at age six, seven, eight, nine, or ten. Technology is so integrated into our lives that every new generation won’t know life without it. In recent years, there’s been this micro management placed on children and screen time. Countless apps have been developed that limit the amount of time that can be spent on certain apps or on certain devices. Other apps let you shut down the WiFi network for certain devices when dinner time rolls around. But there’s a critical problem with these solutions: they don’t reach the heart of the issue. The reality is that it’s fun and entertaining for kids to play games, watch movies, or solve mind games. We can’t deny that. Limiting the time allowed on devices doesn’t remove the desire for those things. It goes much, much deeper than that. It’s a mindset switch. We need to train children in a balanced approach to technology. When technology becomes a tool rather than an endless entertainment device, your mindset switches. I’ll always remember one summer day when I was playing Jetpack Joyride on my beloved Windows 8 computer. Oh, how times have changed. I was digging around in the About section of the app and I came across the time log. Curious, I clicked on it and to my horror I discovered I had spent 26 hours and 36 minutes playing the game. Instantly, I closed the app, right clicked on the start tile, and clicked “uninstall.” Since then, I’ve never played any video or computer games (aside from downloading Pong and playing it for 25 minutes). What I learned from that experience was a simple, yet impactful lesson: you can either waste time or be productive with your time on technology. Circling back to the main point, how is a mindset like this communicated to the next generation? I think this needs to happen partially through trial and error. Limiting screen time or placing extreme restrictions only provokes the desire to break the rules. It doesn’t invoke the desire to stay within those boundaries, except in more uncommon situations. However, teaching kids to be responsible with technology will develop good lifelong habits. For example, you could give kids $15/month just for app purchases, and leave it up to the kids how and when they get to spend that money. They will learn very quickly to not blow it all on Temple Run in-app purchases, and instead space it out for more important app purchases. I can almost guarantee that they’ll quickly learn that mom and dads wallet is not an endless supply of fun games and movies. Now, it is important to develop certain guidelines with devices — say no phones during meals, or while friends are over. Technology should add to and assist conversations, not be the conversation. I’ve had great results implementing this rule in my life. The ability to ask Alexa a simple question during dinner is great, but scrolling through the COOL MEMES folder on your iPhone with friends isn’t a great way to bond as friends. In the end, it’s up to the parents and those in charge how device usage is governed. But I have to end by saying that if I didn’t have the freedoms I did growing up, then I would be a different person today.